A new WHO report finds that the Affordable Medicines Programme, an outpatient reimbursement scheme introduced in Ukraine in April 2017, has contributed to a significant increase in access to medicines thereby improving the health of patients. Until the implementation of the Programme no system was in place for public reimbursement of prescription medicines in the outpatient sector and spending on medicines was reported as being the main driver of financial hardship for Ukrainian households. Countries in the WHO European Region and globally have committed to ensuring access to safe, effective, quality and affordable essential medicines, as outlined in Sustainable Development Goal target 3.8. Ukraine’s Affordable Medicines Programme is an excellent example of how countries can make real progress towards achieving this target. For many patients the Programme is the only chance to get treatment. Prescribers can see an increase in access to medicines and the positive impact on the health of their patients. 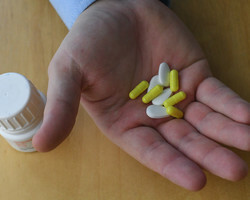 General consumption of the medicines included in the Programme has increased compared to medicines in the same class but not part of the Programme. Physicians have tended to prescribe more frequently medicines that are part of the Programme. The Programme has led to an overall price decrease of the medicines covered. Mechanisms for prioritization of diseases and listing/delisting decisions need to be formalized. Mechanisms should be put in place to prevent shortages, especially of medicines dispensed at no cost. The role of prescribers should be strengthened. Health status indicators should be collected and monitored.